Research shows that involvement in extracurricular activities is highly beneficial to youngsters, especially in the middle grades. The National Institute for Educational Statistics reports that involvement in extracurricular activities increases a student’s interest and success in attendance, academics and a desire to pursue continuing education. The various skills that students learn while involved in these activities fosters individual skill building, as well as teamwork, helps them become more physically and mentally fit, and increases confidence. 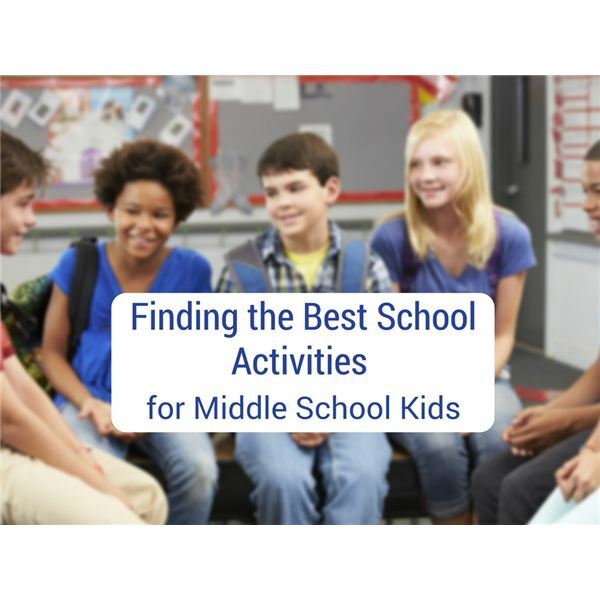 One way to choose which type of activities to get your middle school child involved in is to give them an informal aptitude assessment. Simply asking your child which activities appeal to them is one way to achieve this. Many students think they would like to be involved in a particular sport, such as tennis, soccer or football. Some of these students decide later that sport is not for them and move onto something else. This is still a valuable experiment in determining what activities best suit them. Another option is to ask your child’s teacher or counselor. Sometimes a homeroom teacher is more aware of a child’s unique abilities than you are since they see them every day and observe their activities in the academic environment. Keep in mind, though, that not all extracurricular activities are academic-based. Sports, band, drama and art are excellent activities for kids to join if they are inclined to doing these sorts of activities. There are many different sports activities available for kids to join. From basketball to baseball to football and cheerleading, there seems to be something for everyone. Remember, just because you or your spouse was an avid sports player in school does not mean your child will be. Some parents make the mistake of believing that their child will excel in athletics just because they join a school team. Not every child is cut out for athletics physically and mentally. The best thing is to let them try it, and push them to do their best, but let them decide if it’s right for them. One of the most rewarding types of activities is getting involved in drama, art or music programs. Most schools have band and chorus programs that allows kids to compete with other schools in music activities, drama and art programs allow them to be in school plays or design sets. All of these programs are valuable if the student enjoys them. They not only foster confidence in the arts and their own talents but also help build a sense of teamwork. One thing to keep in mind is that middle school is a transition age. This means that kids are in the middle of elementary and high school. They may try one thing and then another, in an effort to “find themselves." That is okay. You should let them do some of this experimentation, so that they can find their true north in terms of what they truly enjoy and excel in. Often there is an undiscovered talent that kids display later on that was not evidence in the beginning. Gifted and talented programs are often helpful in this way. They allow kids to try certain projects that inspire them to be innovative and creative. The problem with GT programs though, is that they often do not recognize other forms of genius and these programs often have strict criteria to get in. The best GT programs are those that recognize that not every gifted child is the best student and true genius does not always fit the mold they have in mind. It comes in many forms. One program that is started to crop up more in the more progressive schools is entrepreneurship programs for middle school and high school students. The popular show, “Shark Tank," features some child entrepreneurs that have created a million-dollar business from their home with the help of teachers and parents in their home communities. Even if your child doesn’t become the next Daymond John, it’s still a good idea to foster a sense of independent creativity. This will come in handy in the workplace and in life, even if they never create their own business or next million-dollar idea. Whatever you choose to let you child try, be an encourager, even when they don’t succeed in various activities, until they find what they are most comfortable with. Remember, the world is a big place. There’s plenty to learn and do. The key is to build excitement for all the activities they do and cheer them on. With time, their true talents will emerge.